i'm gonna save you little kitty. Hang on!!! hahaha how cute... love the shot! 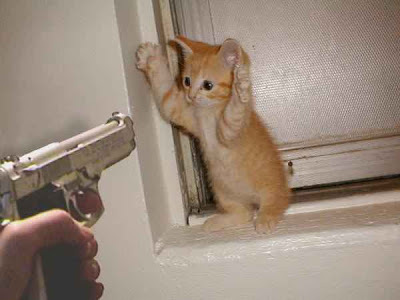 Kitty, don't worry, that gun doesn't have any bullets, the facists took them all!